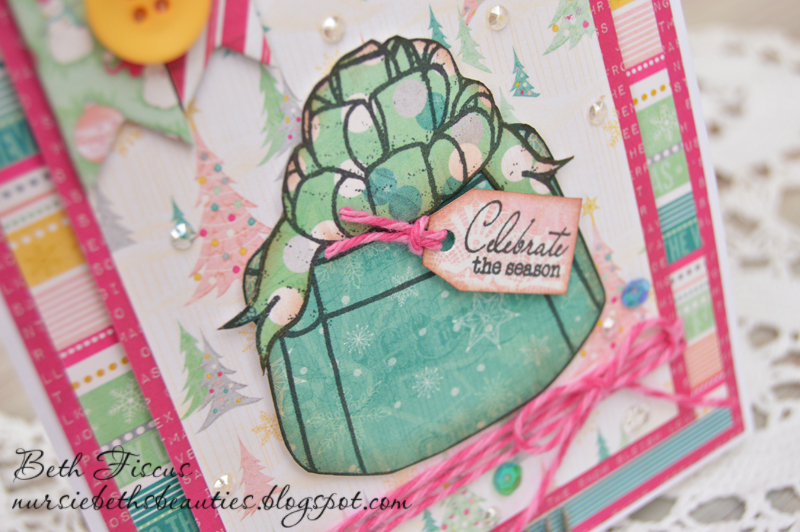 Beth's Beauties: Christmas Card in PINK! Today I wanted to share a Christmas card that is totally non-traditional. I have this adorable patterned paper from Bo Bunny called Candy Cane Lane. Isn't it fun? I tend mostly craft in reds and greens for Christmas, so this was definitely stepping out of my comfort zone, but I love it...probably because of all the pink LOL! The present stamp is from Mark's Finest Papers and the sentiment is retired from My Craft Spot. I added lots of sequins and the Raspberry Cupcake Trendy Twine was the perfect finishing touch. Challenge Winner at V's Sweet Ideas! It's so lovely and cute! Love the non traditional idea.. great card! Thanks for playing with us at Craftin Desert Divas Linky Party! 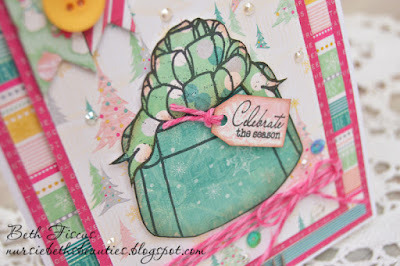 Gorgeous card and design! I totally love all of the pink, it's so pretty! Beautiful! Those papers really ARE fabulous and they make a very pretty card. Thanks for playing with CHNCC2. Have a Merry Christmas. Hi Beth! I'm always SO delighted to see your wonderful cards linked to our challenges at Word Art Wednesday, and really can't thank you enough for playing along with us. It's a real treat, and I thank you. I want to also invite you to stop by and play along with us at CropStop - always Anything Goes and it would be such a treat to have you share your cards with us there as well. I hope you'll stop by to check it out. And also at V's Sweet Ideas. Hey there stranger! How have you been?? Love this card. You always do such a fabulous job. Thanks for sharing this with us over at Craftin' Desert Divas.